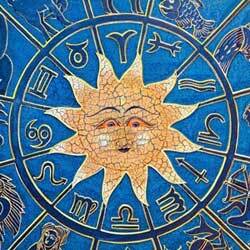 The sun is considered a most important part of astrology. It, as well as the Moon, are the most important of the astrological planets, and the two of them are often referred to as the luminaries. Just as the planets revolve around the Sun in our solar system, we derive our life purpose from the Sun in our natal charts. It has a meaning of the action started, a new cycle of personal development. Motto of any Aries: initiative and active! It has a meaning of the possession of material goods. Motto: possession and practicality. Taurus tends to the spiritual truth, seeking to acquire the material goods. This position means spirituality, the speed of thoughts and actions and the lack of conventions. The nature of this people is elusive, opportunistic - curiosity with temperament. Those with the Sun in Cancer, are both: mobile and permanent, your problems is in understanding of the need for movement, but the in the same time - the reluctance to part with the tried and tested traditions. If the Sun in the horoscope of a person is in Leo, that person is the embodiment of self-consciousness. Leos are always on the throne, even if they are working as a shoemakers. For people who have Sun in Virgo, the main principle of life is: "the order and the reason". They are always looking for knowledge, to subdue the matters to a mind control. Diplomatic, elegant, sincere. Libra's behavior is always dictated by mind and intellect. With an abundance of feelings Libras do not allow passions to win up, trying to keep everything in a balance. A very strong character. Always gives the impression of a special power of attraction, though often frightening. At the same time revived, and mysterious, is viable, but also full of premonitions of death. Those with Sun in Sagittarius are filled with a sense of responsibility for society and for themselves. They love to get into the new areas of knowledge, to travel, they have an abstract thinking. Capricorns are rarely satisfied with the present day. They feel that they are going to have a great future. They always want to do something special. Those with the Sun in Aquarius differ with the eccentric temperament, determination and stubbornness. In their efforts to update the environment they can go so far, that would seek changes for the sake of change. Empathy, flexibility, renunciation. This hypersensitive sign of Zodiac is very responsive to the thoughts of other people.